There are so many discussions that automation testing is replacing manual testing. A lot of developers & testers in modern era want to look for the help of automation testing to make their lives simple. Test automation has received interest and much attention in recent times. But, the truth is that you can’t expect automation testing to execute all the work done by a software tester. A lot of developers and testers in the modern era prefer to seek the assistance of test automation to make their testing easy. However, test automation doesn’t have the capability to completely replace manual software testing. Therefore, we cannot expect that automation testing is stealing the job of software testers out there in the software testing world. It only tests what is predictable- Automated tests assure people that what we anticipate to happen does, in fact, turn out. We name this the “happy path”. Automation testing concentrates on functionality that already exists. It isn’t deep but its coverage is enormous. 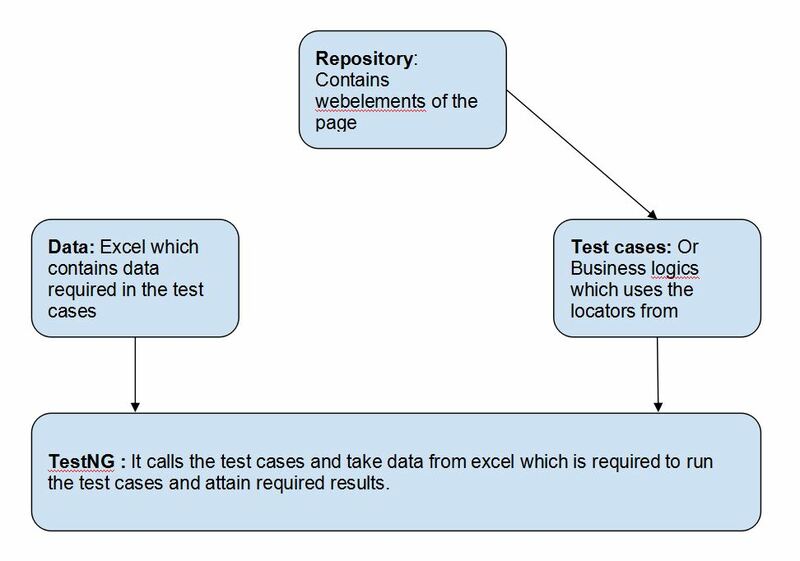 Test Automated is effective for regression tests, precisely when resources are restricted. But only doing test automation is sure to introduce some drawbacks and disappointment in your software testing process. Automation is excessively expensive for small testing projects- Not just do you have automation testing software to pay for, but you also have high maintenance and management related costs, because of script writing & rewriting, including arrangement, set up and processing times. For big and long term projects, the higher expenses can be worth it. But for small and short projects it’s a massive waste of both money and time. When estimating the potential ROI for an automation purchase, you have to factor in additional man hours, too. Automating usability tests is just impossible- Usability testing cannot be automated and it necessitates a human. You cannot train a system (laptop, computer, etc.) to spot “good” usability vs. “bad” usability. Perhaps you might think like, “Ok, we can easily skip usability testing”. Do not make such type of mistake. By skipping this type of testing, you are introducing an incredible amount of threat. This step in the Quality Assurance process is vital to ensure confidence in the product release. There is no means around involving manual testers in usability testing. Automation Testing can contain faults/ bugs- Just like your app’s code can have bugs, automated tests can too. Automation tests can also catch Issues that are unaware of. If you write tests with bugs, you are literally going to have false positives, which can lead to several threats and problems for your clientele and your team. The human element of manual testing can spot these errors and ensure you are testing appropriately. In agile, testing scripts have to be rewritten – Working with continuous feedback in agile environs means fluid changes to the flow of the product, the User Interface, or even attributes. And nearly every time, a modification entails a rewrite of the automated scripts for the subsequent sprint. Fresh new modifications also affect the testing scripts for regression tests, so even that classic automation example necessitates a lot of updates in agile. Technical limits can come into play- The number of test scenarios is complex or downright impossible to automate. The universal argument is “automated testing is cheap”. But it’s not challenging to spend a ton of money and time on elaborate automation. For instance, testing a series of touch screen devices. How do you automate the understanding of a “swipe“and a “tap”. You cannot do that in a way that is equivalent to human being usage. The existence of both automated testing and manual testing forces us to think about our option of tools, their charge, and the rewards they will provide. There are a place and time for both testing techniques. Manual testing helps us understand the complete problem and explore other tests angles with flexibility. Test automation helps save time in the long run by achieving a large number of surface level tests in a limited time. It is up to you to decide where and when every single method of testing is used. Even though automation would not replace forms of manual testing, yet neither will manual testing remove automation. Once the distinction between them is understood, the in-depth dread of automation breaks down and a competent, gainful coordinated attempt rises. We at ImpactQA provides both Quality Assurance manual testing as well as Automation using all the most recent automation testing and manual testing tools. Ever since its inception in 2000, the Cloud computing has been a buzz topic in the business world and has also proved itself to be the cherry on the cake in terms of digital data processing & storage. Cloud computing is now no longer just a tool, it has advanced as a scalable service offering and a delivery platform in the computing services field. Organizations these days have shifted their focal point towards discovering the appropriate procedures to handle and deal with cloud computing to accomplish their business goals. Along with several value-added services, cloud technologies have emerged from personal cloud storage to a genuine and secure data storage network for the enterprise regardless of its size. So, what’s ahead to 2019 and all important future years? Let us take a look at fresh trending cloud computing attributes of 2019. Get into Cloud Computing if you need Hassle free Storage. Cloud will become an inevitable division of management and operation for almost all enterprises. Software as a Service (SaaS) has already created its trademark in the year 2017 and is now all set to open a flexible and financially smart door for companies and consumers to try early cloud services. In 2017, the introduction of IoT with its Artificial Intelligence was the talk of the town, and it emerged as the buzzing topic for the business application enthusiasts. The constant progression of IoT with real-time analytics and cloud computing has taken Artificial Intelligence to a new level and has even made it likely for IoT to make things easier and simpler technological interactions at different levels. With IoT spearheading at a fast pace, it is no doubt that it will be at the forefront of technology innovations in 2019 too. As we all are aware of the fact that technology has two ways to it. In one side it will give us real power to change the world while in the flip side it always remains prone to the security breach. The advantages of Cloud are trumpeted around the globe and for most enterprises; it has become the simpler decision to embrace Cloud. With the introduction of the GDPR – General Data Protection Regulation, the stress on security concerns has gone even higher. As early as 2019, small enterprises could find themselves threatened with the possibilities of data-theft and an inability to sustain with the General Data Protection Regulation’s rules. We have been discussing quantum computing for decades but in recent times. In reality, as the race for cloud supremacy heats up, we are getting pretty close to realize the dream. All the leading tech giant companies are working around the clock for building the first quantum computer. If they attain that, we will soon make better financial models, solve intricate medical issues, and even we have human-like communications with artificial intelligence. Last November, we took a glance at the fastest available quantum computing platform globally with IBM’s 20-qubit cloud computer. The year 2019 also promises to deliver a whole lot more within the quantum computing space that can modernize cloud services and solutions. The major complaint about the business owners have when moving their hosting & computing services to the cloud is that it is really difficult. The hybrid cloud can be a blend of on-premise, third-party private cloud, and public cloud services. This system allows workloads to move flawlessly from private to public clouds with no difficulty. With the implementation of the use of a hybrid cloud, enterprises can enjoy a higher degree of flexibility & a range of data deployment options. Impact of cloud technologies has been global, yet fewer than half companies use public cloud platform. However, the popularity of cloud computing technology is on hype, and 2019 is poised to adopt new cloud technologies and help it achieve new heights.